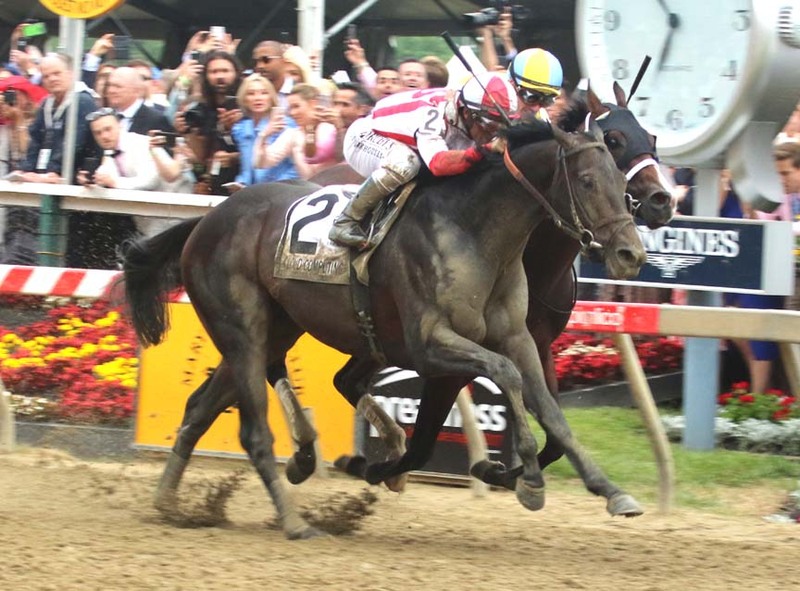 Cloud Computing edged Classic Empire to win the 2017 Preakness. Photo by Laurie Asseo. The GQ Approach features full-card selections from Pimlico for the live spring racing meet, Post Time 1:10pm EDT including a daily Best Bet, Longshot Play, and multi-race wagers — including the 20 cent Rainbow Pick-6, 50 cent Early and Late Pick-5s, as well as Pick-4s and rolling Doubles, Pick-3s and the Super High-5. note: These are the only two left in this race, all others are scratched… enjoy this MATCH RACE! On Saturday May 19th at Pimlico had 9 winners from the 14-race card (4 Top Selections; payoff in BOLD) having $2 WIN pay-offs of $3.60 (1st race), $4.20 (2nd), $6.20 (3rd), $3.00 (6th), $2.80 (8th), $7.80 (10th), $4.40 (11th), $3.20 (12th) and $2.80 (13th). Of the suggested multi-race wagers hit the R1-R2 $2 DOUBLE for $7.80 (cost: $4). Top Selections are 163 for 581 (28.06%). In 2017, Top Selections went 340 for 1,197 (28.40%). 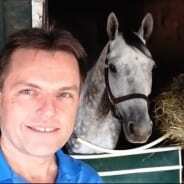 BEST BET of the Day (61:15-14-8; in 2017 119: 39-25-19) Pony Up (12th race: 7-2 M/L; 7-2 PT) angled off the inside leaving the three quarter pole, lagged well off the pace, was under pressure outside a rival leaving the far turn, altered out in upper stretch and had belated action to finish fourth. LONGSHOT PLAY of the Day (59:6-13-8; in 2017 107: 18-13-15) American Sailor (4th race: 10-1 M/L; x-1 PT) away alertly, disputed the pace outside the winner, drifted out a bit in upper-stretch, weakened and finished fifth.